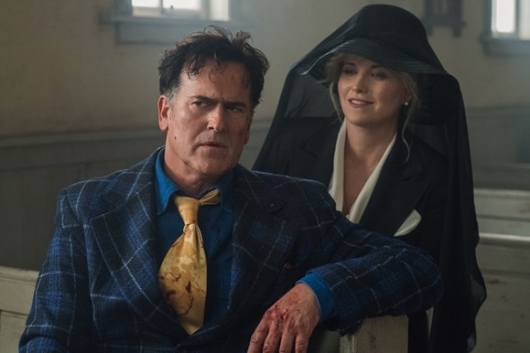 What on earth could possibly be more gross than Ash’s deadite battle at the morgue in season 2… spoiler alert, Ash squares off with evil in a sperm bank! 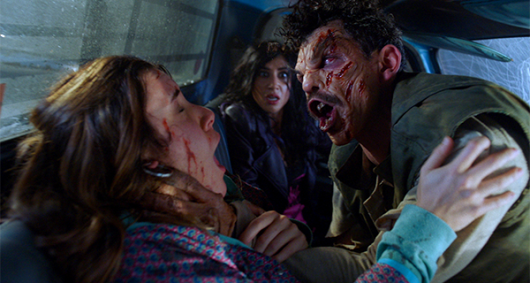 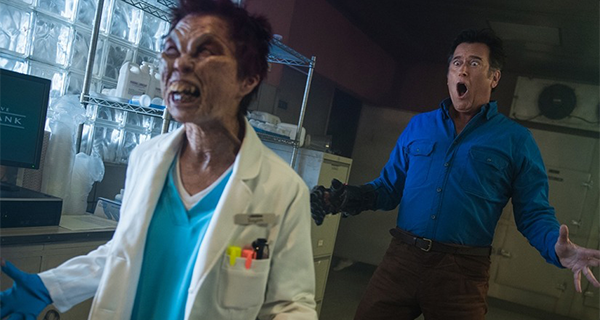 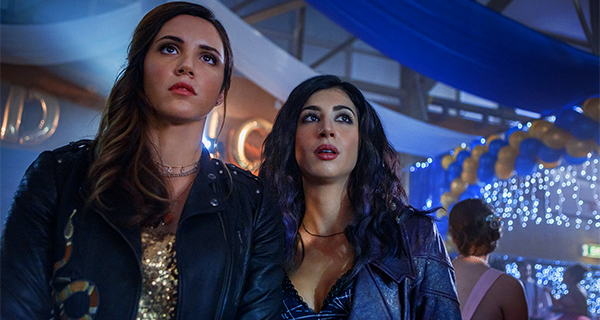 These are the sorts of wonderfully crazy things you see every week on Ash vs Evil Dead on STARZ. 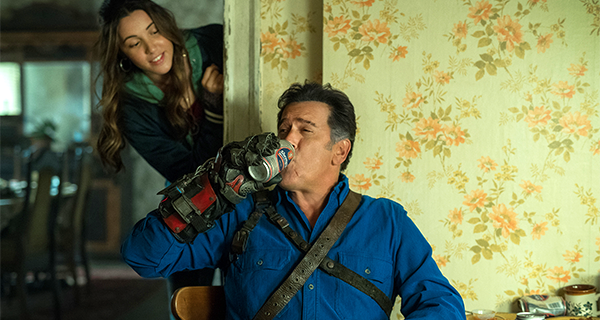 After what felt like forever to Evil Dead fans, Ash is back! 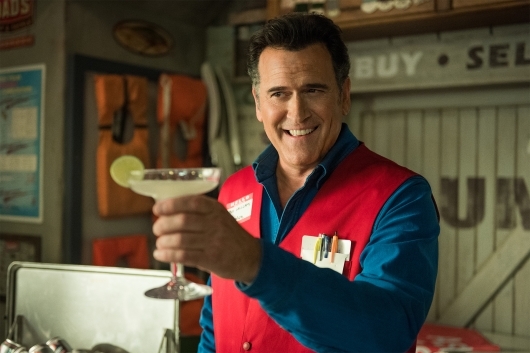 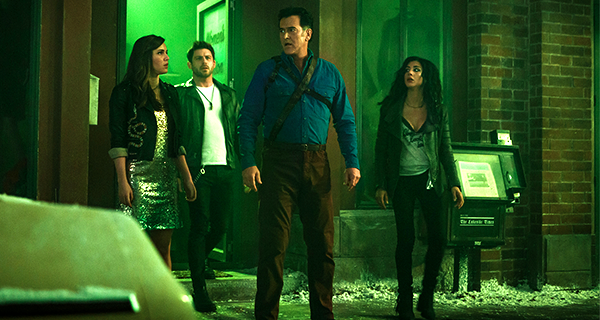 It took more than a year but Sunday night marked the return of everyone’s favorite chainsaw armed, boomstick blasting lothario, Ashley J. Williams (Bruce Campbell). 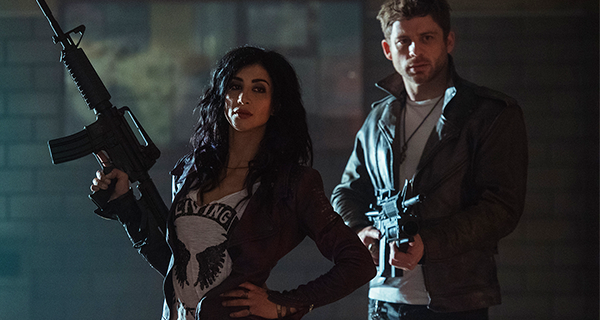 I got to interview the cast during NYCC back in October, and they were all very excited about the twists and turns that this season will feature. 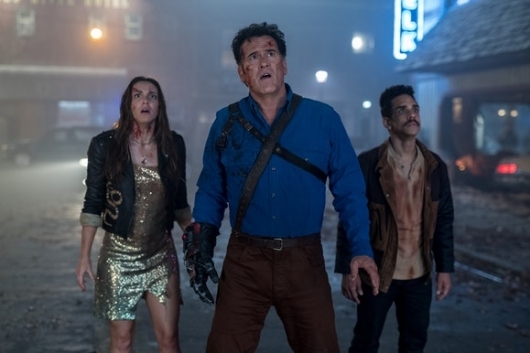 Season 3 of the hit STARZ series picks up right from where season 2 ended, with Ash and the Ghost Beaters victorious over evil, and rewriting Ash’s legacy in his hometown of Elk’s Grove, Michigan. 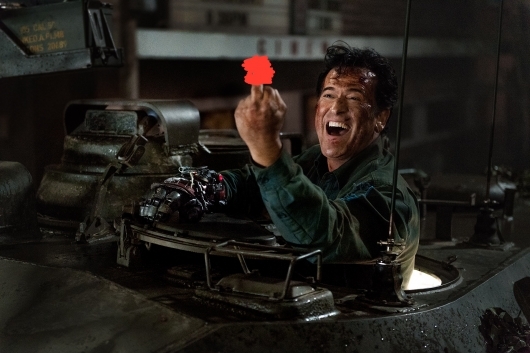 But c’mon, this is Ash and evil never stays dead for long.